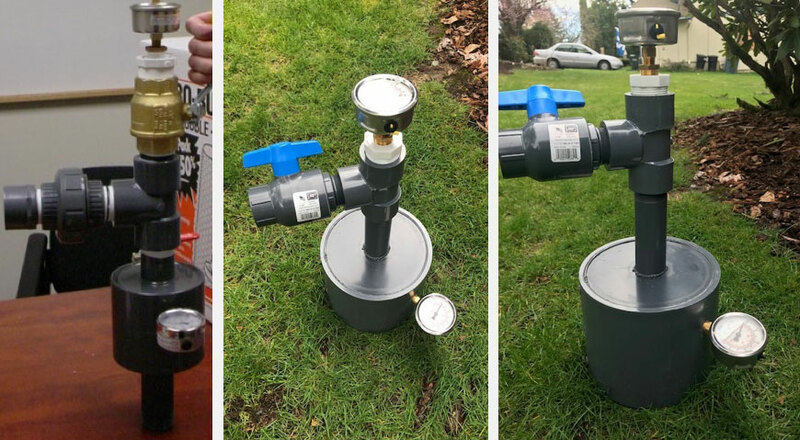 Aardvark manufactures PVC well heads that are completely hand crafted and PVC Welded so there are no glue vapors to interfere with the data collection. These well heads come with a vacuum gauge mounted on the vertical riser and a pressure gauge mounted on the casing riser. Full flow PVC ball valve and PVC union make up the base configuration.